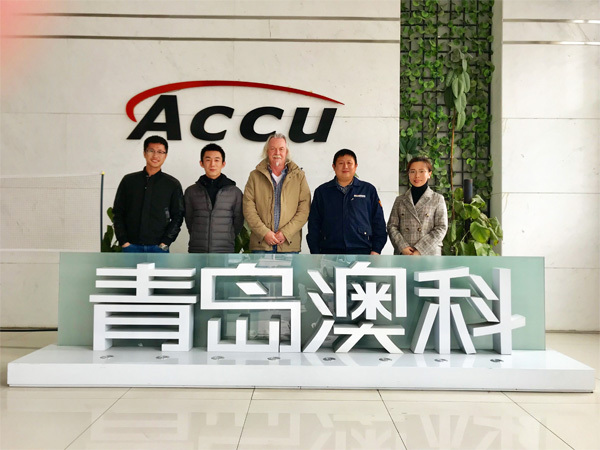 Recently, introduced by our partners, an Australia customer took a visit of ACCU. First of all, accompanied by overseas market team, the customer visited all departments of ACCU, including the production department, technology department, software department, marketing department and so on. Then, our overseas sales manager gave a presentation of all kind of product lines. Finally, the two sides had a communication of some technical and business issues. This visit left a deep impression on our customer, and enhanced their confidence on ACCU and our products.